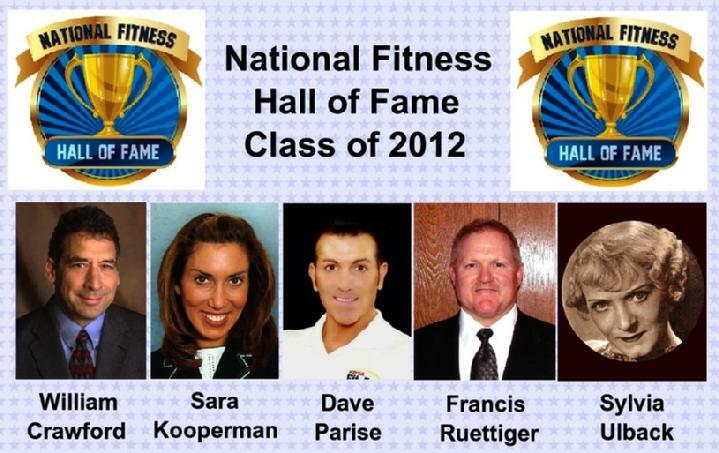 Fitness Superstars Gather for National Fitness Hall of Fame Event! 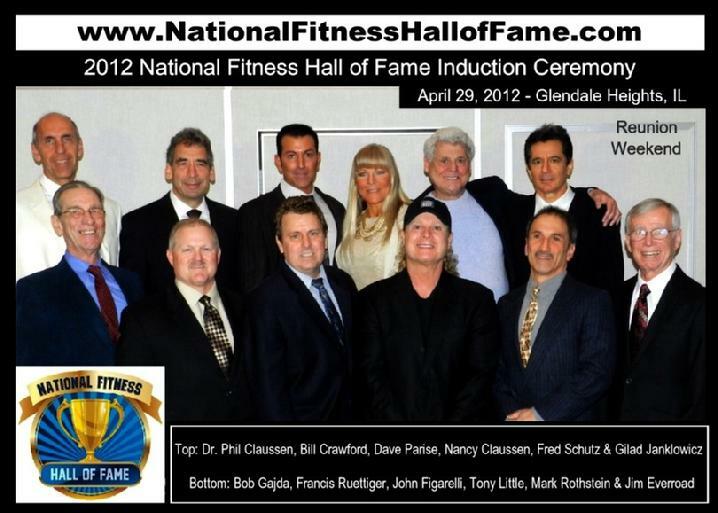 It was a night to remember as a capacity crowd packed the Glendale Lakes Golf Club for the 2012 National Fitness Hall of Fame Induction Ceremony on April 29th. “The facility was wonderful, the crowd was electric and the event was historic,” said the Hall of Fame’s founder, John Figarelli as a record number of Hall of Fame inductees, current and past, were on hand to celebrate together a most memorable evening. 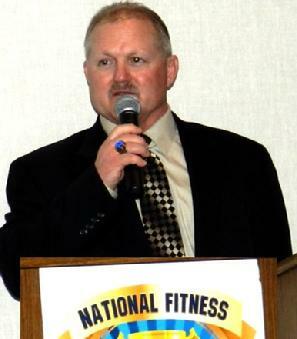 In attendance, 2012 National Fitness Hall of Fame Inductees, Bill Crawford, Francis Ruettiger and Dave Parise were welcomed by fellow inductees, Bob Gajda (2008), Dr. Phil Claussen (2009), Fred Schutz (2010) and Jim Everroad (2011). VIP Presenters, Nancy Claussen (2009) and Mark Rothstein (2011) did a terrific job with the introductions of their esteemed colleagues and Tony Little (2006) was hugely entertaining as he presented the “Lifetime Achievement Award” posthumously to “The Godfather of Fitness,” Jack LaLanne (2005 inductee) to which friend and colleague, Gilad Janklowicz (2007 inductee) graciously accepted on behalf. Jim Whitehead was also present to receive the Hall of Fame’s “Volunteer of the Year” award. The event started at 6:00pm with a welcoming meet & greet of fans, friends and family alike all sharing in the special moment. As one person put it, “meeting and mingling with all of these fitness gurus is truly inspirational.” Another guest said, “I enjoyed the fascinating displays showcasing the History of Fitness.” Addison’s very own Don Figarelli, “The Don of Sports” was on hand to conduct Red Carpet interviews with these Superstars of Fitness assisted by Mike Tynus doing an excellent job behind the camera. Since John Figarelli founded the NFHOF in December of 2004, it has grown leaps and bounds and is now the largest such organization of it’s kind. He is especially grateful to his ever supporting family and to this year’s sponsors, the American College of Sports Medicine and Total Gym Inc. who helped make this event so successful. Dear John, We didn’t get a chance last night to say good bye & thank all your family & friends. Please know we appreciated & enjoyed being part of this year’s induction ceremony. The Figarelli Family always puts on a first class event! Thanks for your great efforts as you made us feel like we are part of the family. Thanks John, Was great to see everybody again and the event was very well organized. Let me know how I can continue to help with your efforts.